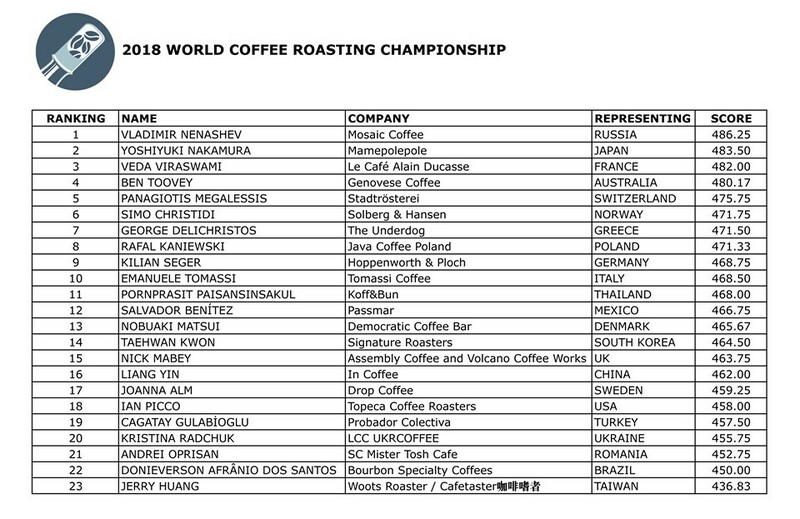 RIMINI, Italy — The 2018 World Coffee Roasting Championship has been an intense four days of competition, with Vladimir Nenashev of Mosaic Coffee, representing Russian Federation, triumphing as the 2018 World Coffee Roasting Champion. 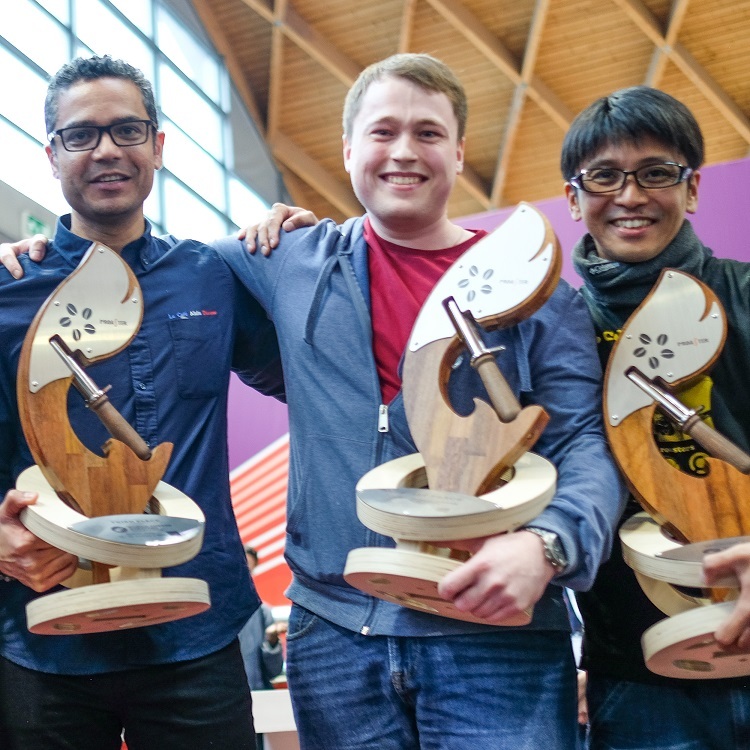 The Japanese champion Yoshiyuki Nakamura of Mamepolepole came at second place while third place went to Veda Viraswami of Le Café Alain Ducasse in France. Twenty-three WCRC national champions competed in this year’s event, which took place in conjunction with the Sigep show in Rimini, Italy.